Buying a car is already difficult without the added struggle of juggling bad your credit score and loans. You need to do research on the car that is safest and best-suited for you and then there’s the hassle of haggling over the car price, not to mention actually paying for the car. It’s a stressful situation, and those with bad credit could wind up paying thousands of extra dollars on higher rates on car loans and on insurance premiums. So, how do you buy a car with bad credit? There’s no simple solution, but there are helpful tips that can help save you money. Before we tackle that, however, let’s first focus on what credit even is so we can counter the difficulties bad credit presents. Why is building credit important? Well, think about it this way: you want to buy a car, but you don’t just have $25,000 sitting around waiting to be spent. So, how do you finance it? You will need to charge some of the amount to a credit card or take out a loan so you can pay it off over time, and in order to do either of these things, you must first have a reliable credit score. How do you build credit? Well, it’s a cycle that feeds into itself; you must use a credit card or take out a loan and responsibly pay it back in order to establish a credit history, which then translates to a credit score. Credit is important if you ever want to own a home, a car, go to university or accomplish anything that requires a large sum of money. And bad credit can prevent you from being able to make these purchases. Bad credit either totally bars you from borrowing money, or lends itself to poor loan conditions that make paying off debt more difficult. 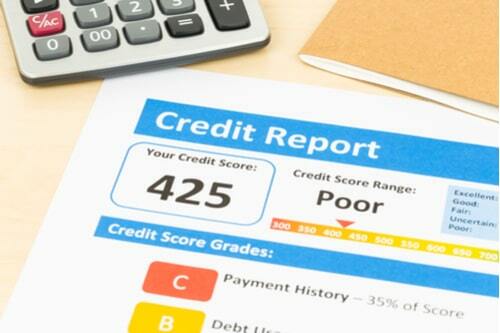 Poor credit can seriously affect your loan conditions and your insurance premiums. Bad credit influences your interest rate, monthly payment, and pay period on your loan, and if you do not adhere to strict loan terms, you could wind up making your credit even worse. By the same token, your insurance can also skyrocket, even more so than if you had previously been in a car accident. Missouri is listed as the tenth worst state in this regard according to Nerdwallet’s difference in rates chart, which means you could wind up paying $139 more monthly. So, we know why credit is important, but how do you make your car purchase with bad credit? Credit scores span from 300 to 850 on a point scale, and the higher your credit score is, the better your credit. Bad credit scores are generally considered scores of 630 and below, so if you’re in this category, consider these steps before budgeting for your car. The best place to start improving your credit score is by checking to see what your current credit score is. You should be able to access your FICO score through your bank, but you can also use online resources like Credit Karma. 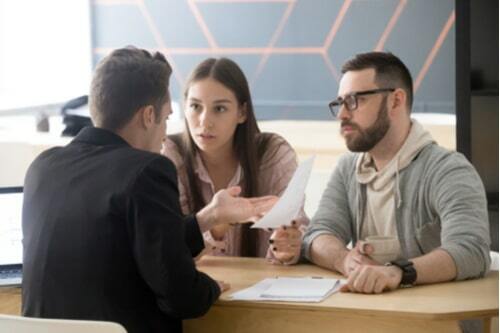 Once you know where you stand, you will know what type of approach you should take and how people will address you when loan terms are being discussed. It will also help ensure you are not given worse loan options than you deserve. You might want to consider cleaning up your credit before doing any financing on a new car. Unfortunately, there’s no secret way to make debt disappear quickly; but there are different ways of handling it, and some ways can be better than others. Depending on the nature of your situation, one way you can work with existing debt is by utilizing an installment loan to build your credit back up. Let’s say, for example, that you have quite the sum situated in student loans—student loans are notorious for having insane interest rates, which can make the process of paying them off seem impossible. Do a little research into credible alternate installment loans with lower interest rates to help yourself in the long run. If you transfer your debt into that new loan and pay off the one with the higher interest rate, then you’ll have an easier time handling the money you owe, and build your credit in the process. The same can be done with credit cards, which would allow you to avoid maxing out your credit limit and thereby detracting from your credit score. Knowledge is power, as they say, and you’ve already taken the first step by evaluating how bad your score actually is; however, once you’ve attempted to repair what you can, the next step is knowing what you even can borrow. Pre-approval takes a look at your income, your expenses, and your credit score, and calculates how much you are likely to receive on a loan. Pre-approval for your auto loan will not only provide you with a budget to work with, but it will also provide a set goal of expenditure that the dealership will likely attempt to match. Getting pre-approved for your auto loan via your bank or an online installment loan site allows you to say to the dealer that you cannot go any higher than the set amount you have been given. Next up, find the dealers who specialize in the kind of credit you are bringing to the table. 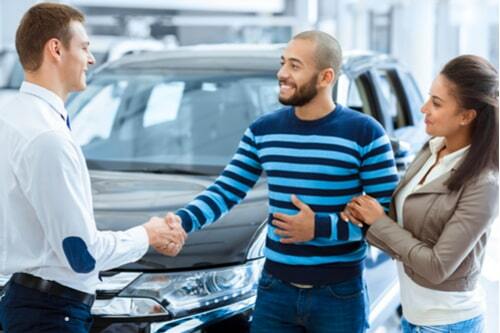 Your safest options involve mainstream dealers or credible used car markets, which is important to consider. You don’t want to get signed up for a loan that is unreasonable or with a sales group that will repossess your car. Some places go as far as to turning off your car remotely. Sometimes your credit is so bad that you have to resort to these businesses. Just make sure that you come educated and take your time to understand everything the deal entails, including interest rate and time periods on loans, as well as a multi-point check on the car itself. Buying what you pay for is an important distinction to make.